RYANAIR AVIATIONS MOST EXPLOITED AIRLINE WORKFORCE .We are in no way affiliated with Ryanair. : ANTI RYANAIR CAMPAIGN No 2 ON TWITTER..DOOMED TO FAIL MR O'LEARY. 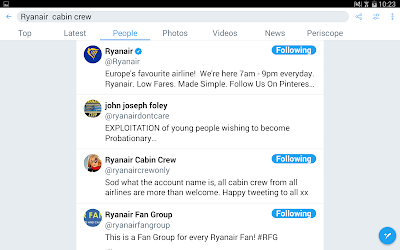 ANTI RYANAIR CAMPAIGN No 2 ON TWITTER..DOOMED TO FAIL MR O'LEARY. 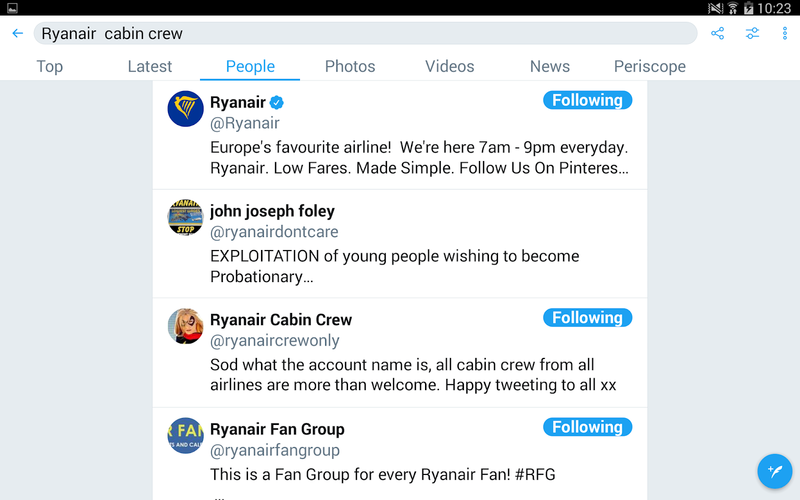 On Twitter Ryanairdontcare Campaign are now second with only Ryanair above.This is great news and makes me feel great that Crewlink Ireland Cabin Crew recruitment down,Pilot union recognition and Ryanairdontcare Campaign second on twitter. "Doomed to fail Mr O'leary"..Lol.